Home News Is your Unexploded Ordnance [UXO] contractor using the correct equipment? Is your Unexploded Ordnance [UXO] contractor using the correct equipment? 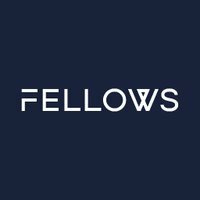 As one of the UK’s original commercial UXO service providers and with over twenty years’ experience of conducting UXO surveys in the UK and abroad, Fellows International are leaders in the field. We pride ourselves on the intelligent use of technology to give the highest possible level of risk mitigation, whatever the scope of work and UXO hazard might be. UXO surveys investigate the subsurface environment of a site to identify magnetic anomalies and to determine whether these could be buried UXO. It is a highly technical task that requires trained personnel using the correct equipment. There are no fixed industry standards on the training necessary or equipment required therefore it is important that companies hiring UXO contractors are aware of what we believe should be a basic requirement. No UXO detection or location equipment can provide complete assurance however there are methods which ensure higher accuracy than others. Fellows use three items generically during all non-intrusive surveys. A magnetometer is used to measure the consistency of the Earth’s magnetic field and therefore detects any local anomalies which could be buried ordnance. Used alone, this equipment would detect all kinds of irregularities underground but would not provide enough information to suggest what it could be. Subsequently, Fellows use two additional items in order to obtain greater accuracy. A data logger and EPAD are used in conjunction with each other to provide a clearer indication of the level of metallic contamination underground. The data logger accurately collates any changes in the local magnetic field which is then read from the EPAD. When analysed on a mobile PC this provides an accurate indication of the depth, type and size of contact and allows the Operator or Analyst to determine whether it is likely to be UXO. Use of modern data gathering equipment also records the information so that it can further analysed and referred to at a later date. Although you can never be 100% sure, this process provides a higher level of assurance, a permanent record of data coverage and quantifiable search effectiveness. Conducting UXO surveys with a locator that gives only an audible or visual signal is frankly not enough. The technology to log and analyse UXO survey data is relatively cheap and easily available from a number of suppliers and should be used as a matter of course. In addition, precise positioning is available to overlay with the survey data thereby giving positional accuracy of detected anomalies to a few centimetres. If your UXO Survey, whether a site survey or ground investigation specific, is being conducted with audible equipment only, you may wish to ask questions as to how the Operator is assessing the results and thereby reducing (or not) your risk. Fellows pride themselves on providing comprehensive and accurate UXO surveys and have invested in modern UXO detection equipment and analysis capability to ensure UXO risk is reduced to ALARP. If you require any assistance to mitigate UXO risk at your site please get in touch to discuss your requirements.